DENVER (AP) — The outlook for the most important river in the Southwestern U.S. remains grim this summer after April storms failed to produce much snow in the mountains that feed the waterway, forecasters said Monday. It’s the fifth-lowest forecast in 54 years. “It’s pretty dramatic. It’s a very low runoff season,” said Greg Smith, a hydrologist with the agency. 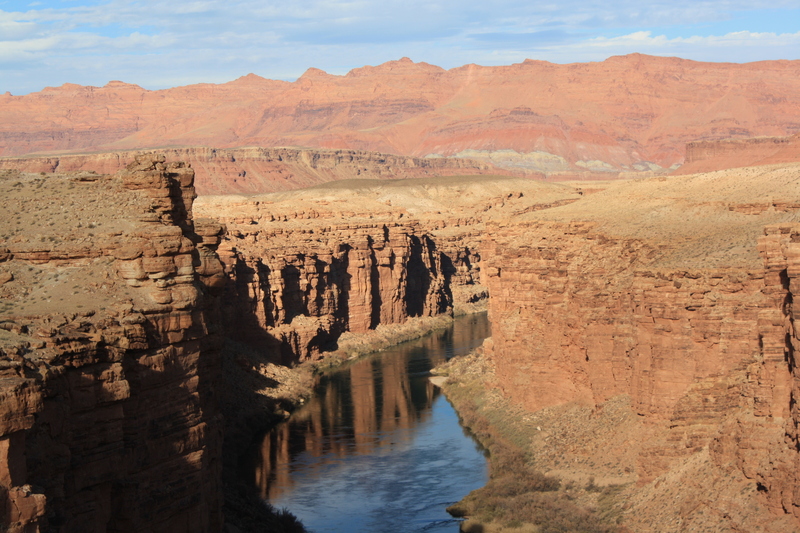 The Colorado River serves about 40 million people and 6,300 square miles of farmland in United States and Mexico. The river is under increasing stress because of rising demand and declining flows. The region has been in a drought for 18 years – long enough that some researchers say it may represent a permanent shift. Last year’s snowfall was uneven but mostly below average across the mountains that feed the Colorado. The western Wyoming mountains that give rise to the Green River, the Colorado’s largest tributary, received 116 percent of their average snow at the peak of the winter, Smith said. “Southwest Colorado had their lowest precipitation on record,” Smith said. One significant storm hit the Colorado River region in April, but snow fell only at the highest elevations, Smith said. Lower regions got mostly rain, and unlike snow, rain runs off immediately and can’t be as easily captured in reservoirs for later use. Water levels in some mountain rivers will peak in the next week or so as the snow melts, Smith said. That’s earlier than usual but mostly within the normal range, he said. how quick can they build that pipe. Better do it quick. Better hurry up with that pipeline! A lot of good that pipeline will do! Facts won’t get in the way of developers and politicians. So if a $3 BILLION pipeline is built and little or no water winds up in Washington county who will owe what? Exactly. It’s called take the money and run. California needs to get more desalination plants going and stop dumping reservoir water into the ocean. I remember being at Hoover Dam in 1984 when the Emergency Spillways flowed water for the first time ever…… It will happen again! Maybe some of you Doom & Gloomers should stop flushing & drinking so much of it! It’s for sure that the developers won’t pay for it. All they’re responsible is overpopulating what was a very nice area. We will be the one’s stuck with the bill.